Adorn your hair with these blushing rose gold elegant crystal and pearl hair pins for timeless elegance. 1950s bridal sparkle for brides and their maids. Dainty and incredibly elegant, our Shimmer of Rose Gold Hair Pins will adorn your hair with classic charm with a touch of on-trend romance. Featuring three light ivory faux pearls with glittering Austrian crystal accents set on blushing rose gold prongs, they incorporate the chic grace of the 1950s with a contemporary modern twist. The perfect pins to coordinate with our Shimmer of Rose Gold Necklace, Bracelet and Earrings for a sophisticated style or pin several pairs throughout your updo for statement glamour. Brides who adore subtle sparkle will fall in love with the simple design of our Shimmer of Rose Gold pins which are beautiful for a rose gold wedding theme or to team with a delicate blush wedding dress. 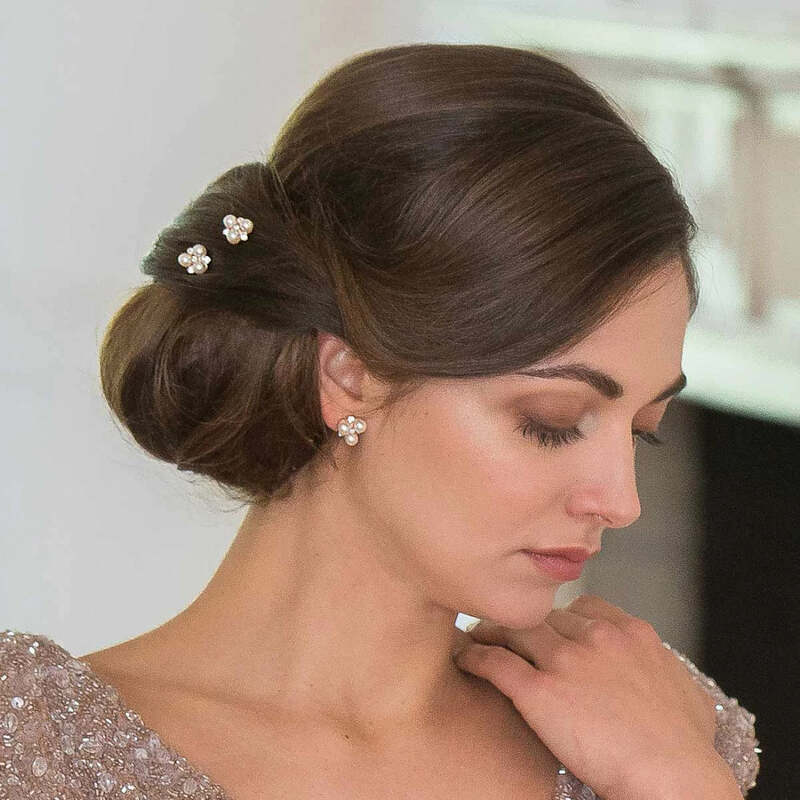 Bridesmaids will also look divine with these delicate pins scattered amongst their tresses. Mix and match the coordinated pieces for a modern day style.